We're finally on the downside of banana-season. It's been a bumper crop this year! Tangerines are now ripe. Valentine's Day (Monday), same place. 7:30 PM show time. Cost is $33/adult and $28 student. (FOA membership discount for adult tickets only.) The Valentine's Day show starts later and is more expensive than the regular shows because it includes the fabulous Magellan buffet. It also includes a chance in the raffle for a room/night at PIC. 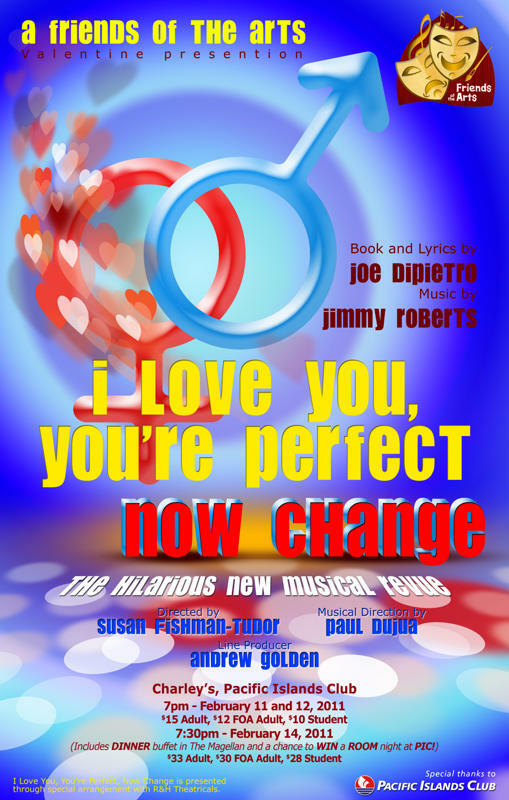 The show is a comedy/musical on the theme of love and relationships. Light-hearted, romantic comedy--perfect for the season!